Dance in the aroma of sweet sparkling Sugar Plum Fairy. 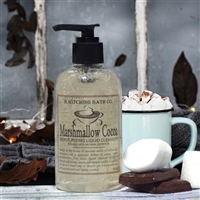 This fragrance combines notes of sweet candy sugar plums and ripe seasonal berries. 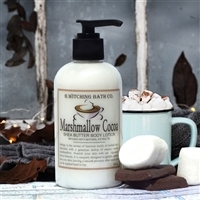 Our select formulas will condition skin leaving it lightly scented. 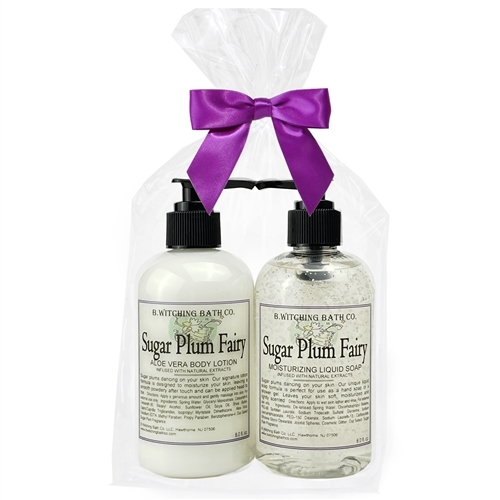 This set includes one 8oz lotion and one 8oz liquid cleanser, beautifully packaged in an cello bag with a purple bow.